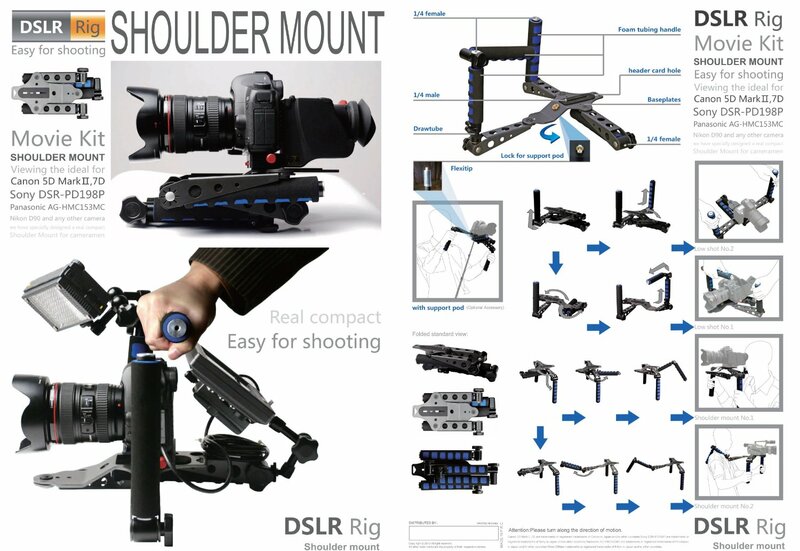 I got a quick tip for all of you low-budget filmmakers out there – you can now get cheap but very useful shoulder mounts for your camera. I found one that I like using. Here is a quick demonstration of how the rig looks and works. If you ever tried filming handheld shots using your DSLR or pretty much most cameras today, then you know how hard it is to keep your shots completely steady. The reason is because all the cameras out there are getting smaller and lighter. Which is great for many reasons! But it also makes it a nightmare to get handheld shots. Reason is because when you grab the camera directly, your hands are so close to each other that every hand jitter translates into the camera’s rotation. 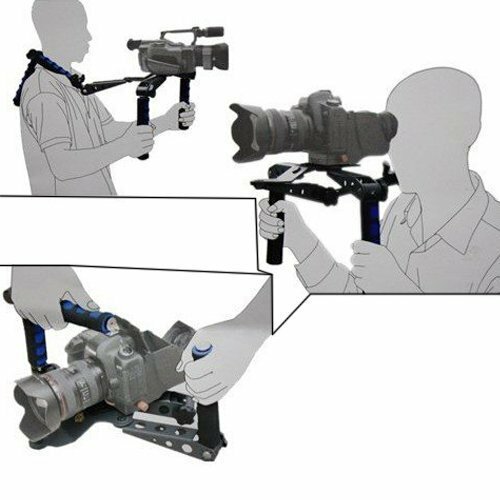 To minimize that, it’s best to grab the camera further apart using some sort of a rig; and also by adding another point of contact – like your shoulder! It’s almost the same as if you were using a small tripod. 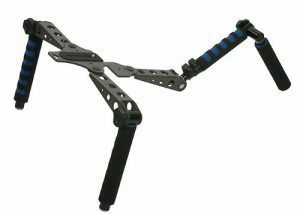 The closer the legs of the tripod are to each other, the less steady the shots. Also, trying taking away one of the tripod legs and you’ll see how steady your shots will be. If you got any questions then please leave them below. 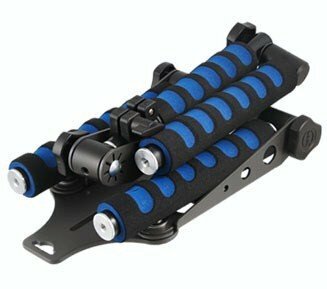 I have same rig, I also have the stabiliser suspension pole attachment that make for some nice video, I find that a big camera like 5d the screws tend to slip, have you experienced this? Just want to start off by saying thank you for your time in posting up your videos, they really are a major contribution in my learning. 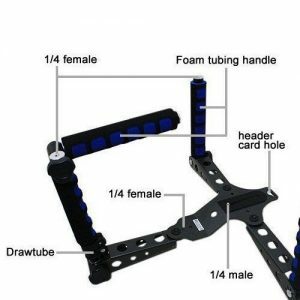 I am looking into purchasing this rig, however I am from Canada and i cant get it shipped by amazon, any ideas? 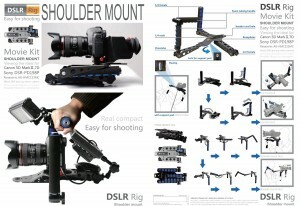 How does a shoulderrig compare with a stabilizer such as the Flycam nano that you also tested?